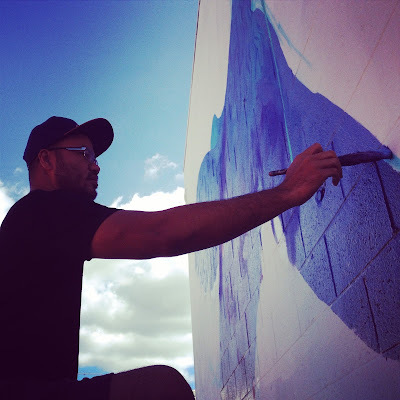 It's been two months since I returned from my trip to Honolulu for Pow! Wow! 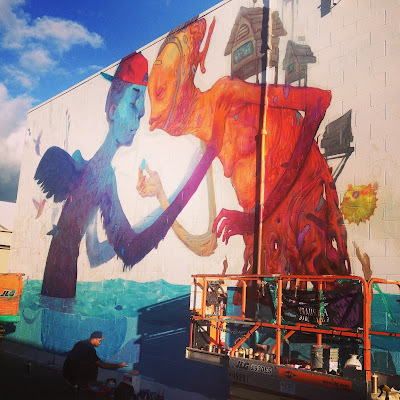 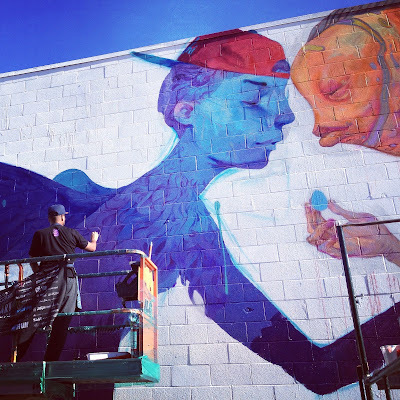 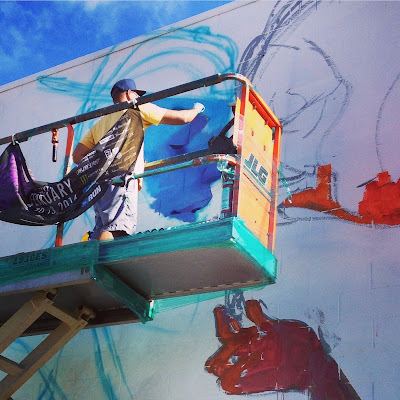 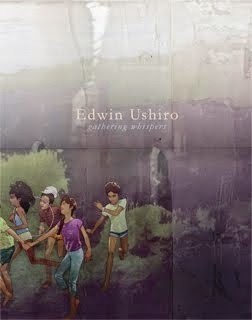 Hawaii, so I guess it's time to share a few of my pictures from the production of Edwin Ushiro's first mural and Andrew Hem and Ekundayo's largest collaboration to date. 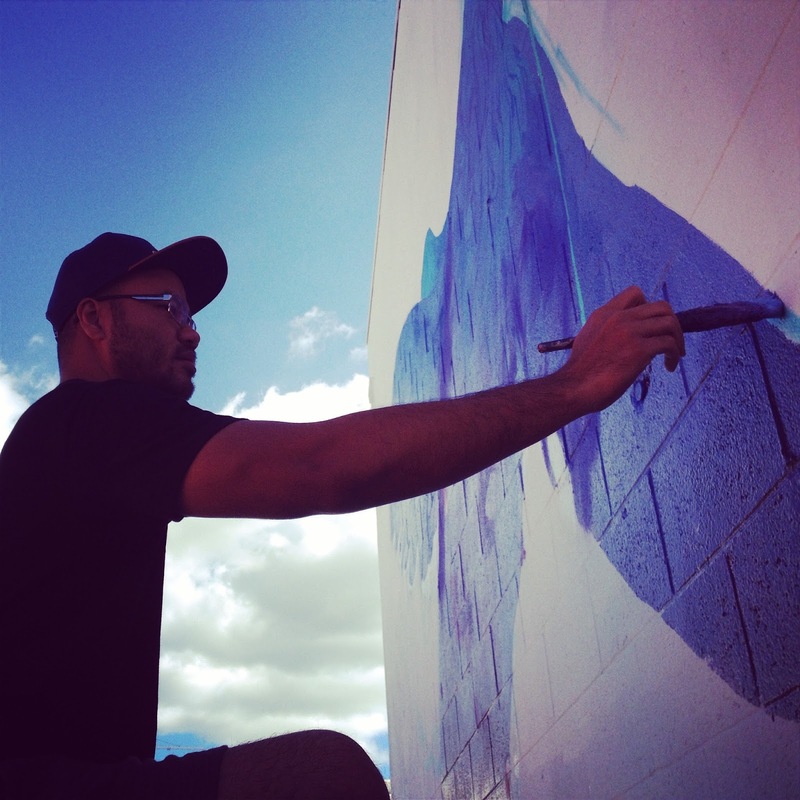 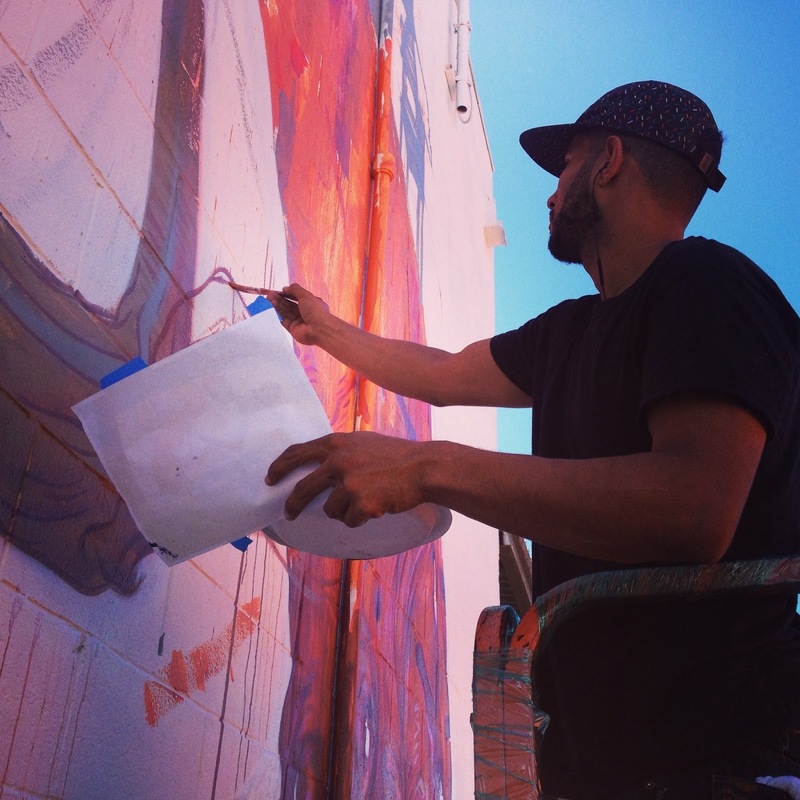 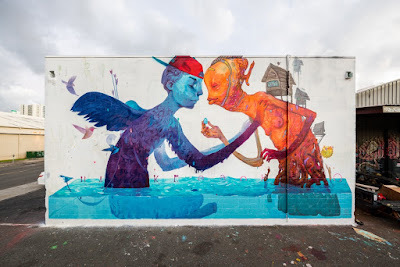 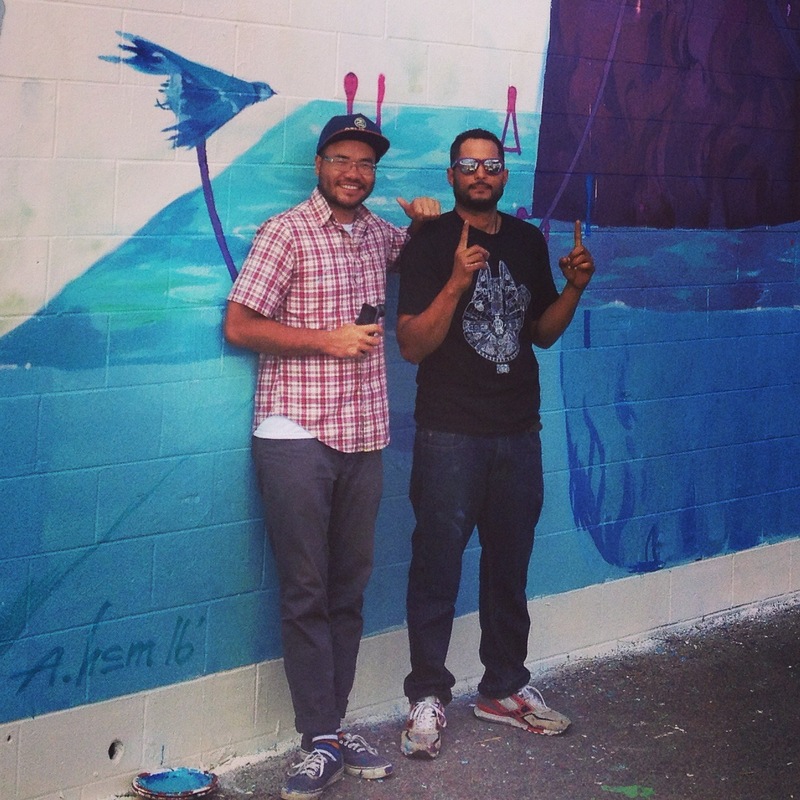 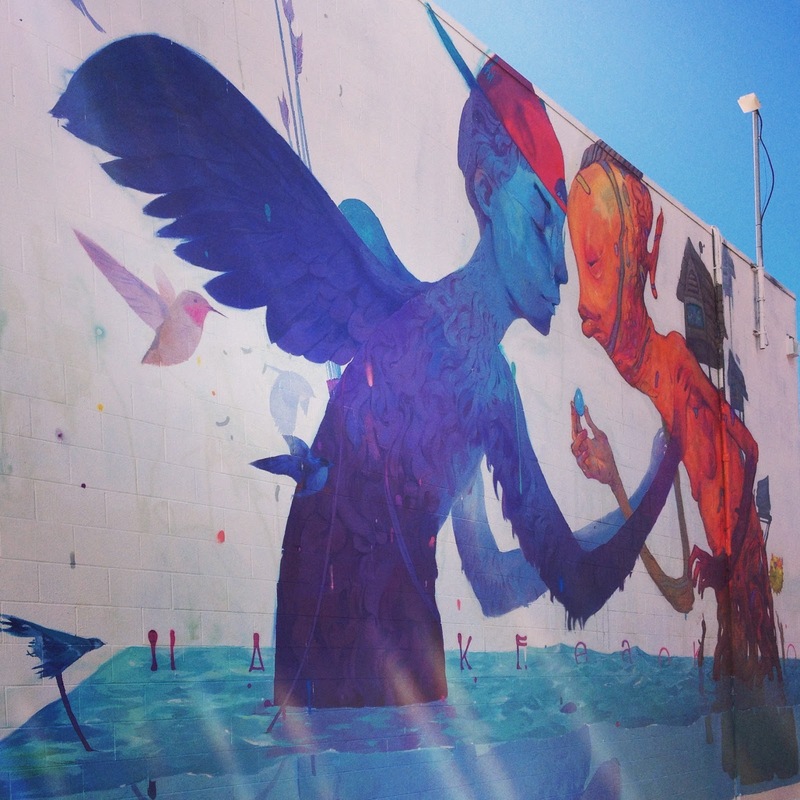 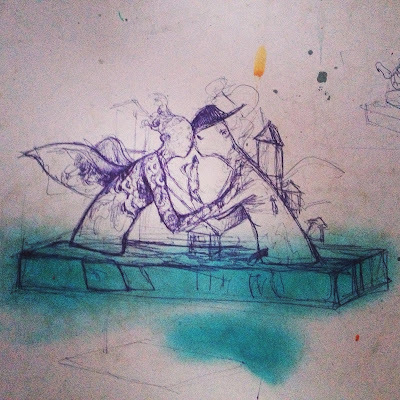 Andrew and Ekundayo's mural is based on the Hawaiian honi, a greeting in which two people press their noses together and inhale, exchanging their ha, the breath of life, as well as their mana, or spiritual energy. 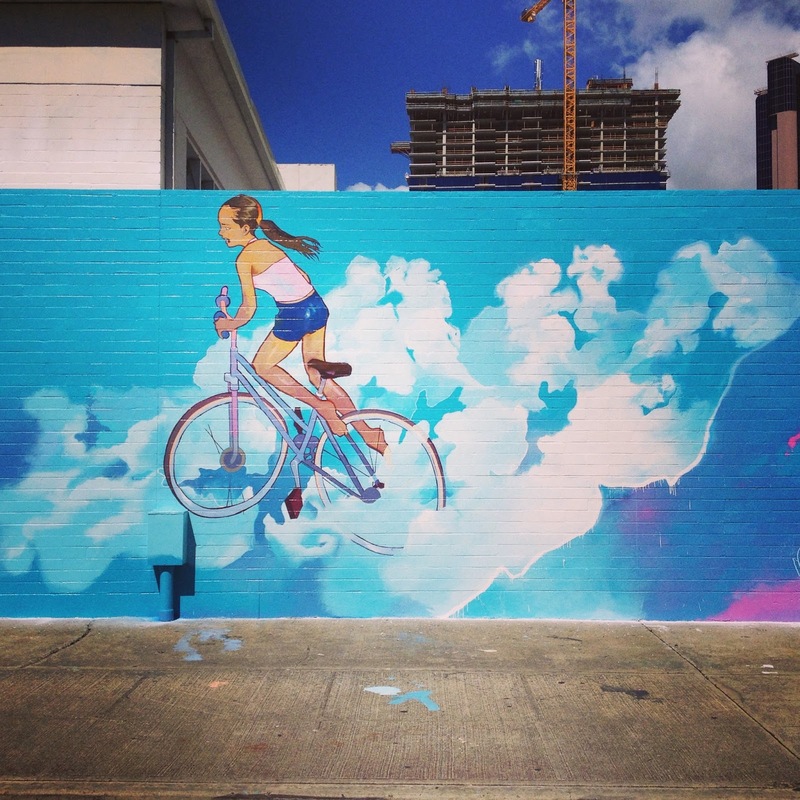 Edwin's mural depicts a girl surfing her bike along a wave of water, vapor and energy. 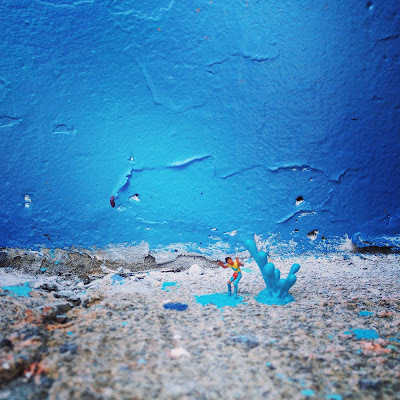 Slinkachu's installation at Edwin's mural site. 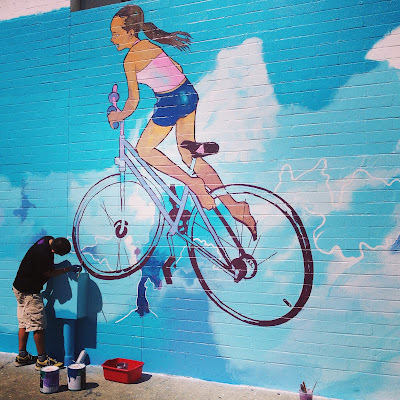 Edwin's completed mural on the side of the BikeFactory store. 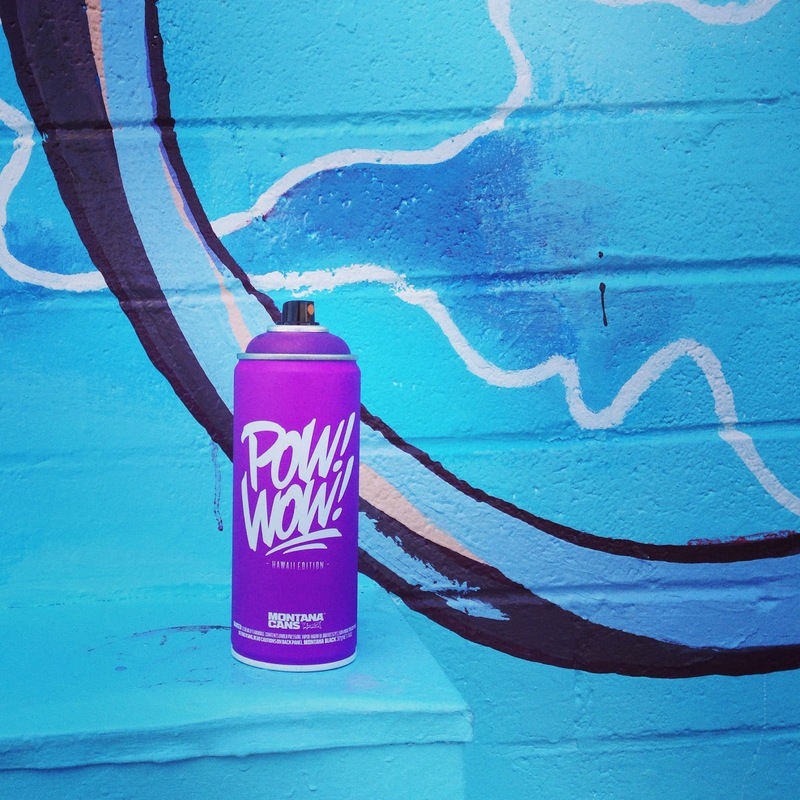 The festival's commemorative Montana spray can.